Like to present an interesting case during the European Congress of Pathology (ECP 2019) in Nice? 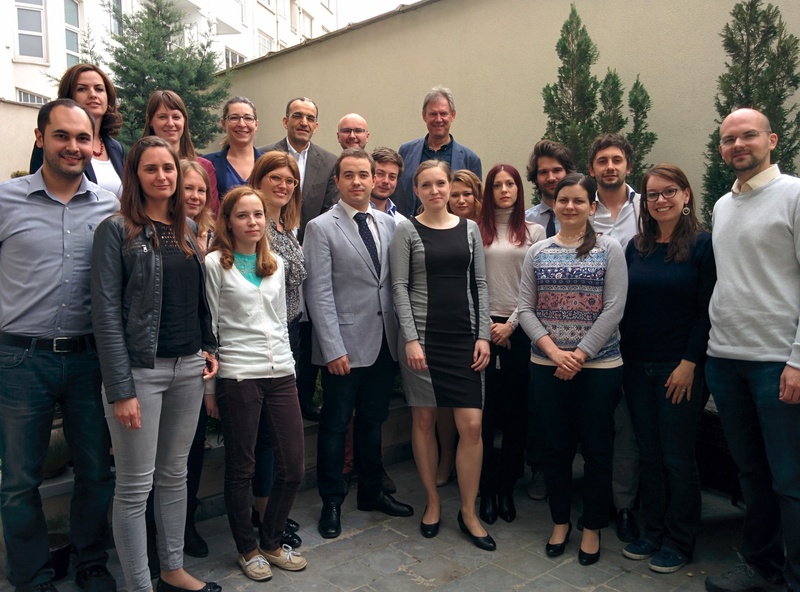 The ESP Trainee Subcommittee was formed on 23rd of May 2015 at the ESP office in Brussels. The session was chaired by the ESP President Prof. Han Van Krieken. The policy of the ESP Council and Officers of the Executive Committee has progressively increased emphasis on involving young residents and trainees in pathology in the active work of the Society. This is why a new Trainee Subcommittee was created as part of the ESP. There were 19 residents from different European countries who discussed the structure and the future of the Committee. A chair and a co-chair were elected of a majority secret ballot. A Trainee Subcommittee consisting of at least six residents in pathology and representing various geographical regions of Europe will interact with the Council in all matters pertaining to postgraduate training. 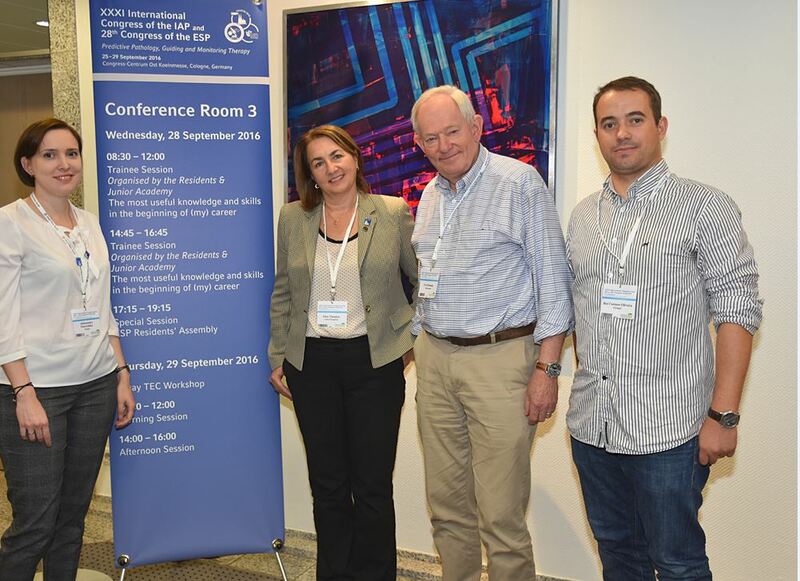 The Trainee Subcommittee will contribute to annual congresses by organising an annual trainee symposium. The nominated Chair will be an ex-officio member of the Council. The Chair of the Trainee Subcommittee is appointed by the President in consultation with the Council and the Advisory Board. Check out the results of this interesting survey made by the Harmonisation Subdivision (Eleftheria Lakiotaki, MD, Greece) of the ESP Trainee Subcommittee to find out more about the various practices in resident training across Europe. ESP Office: So, Alex, your term is nearly over. What are your thoughts? Aleksandra Starzynska: Indeed, my term as Chair of Trainee Subcommittee is coming to an end. I cannot believe it’s been 2 years already! My earliest memories as Chair are related to the excitement of this new experience I had embarked on. I was impatient to start, but I didn’t know what to expect and I can distinctly remember the first meeting we had in Brussels with a group of residents. ESP Office: What was the meeting about? A.S: We brainstormed and drew up the first draft of the ESP trainee activity. I have to admit that it was quite a bit of work but also so much worth it! And the fun we’ve had, getting to know each other! ESP Office: And 2 years later, what would you say was the highlight of your Chairmanship for you? A.S: I think the best thing was definitely meeting trainees from different European countries: working together and exchanging ideas. My position as Chair also gave me the unique chance of participating in ESP activities from ‘behind the scenes’ as you’d say – organising sessions and being involved in other preparations. Sometimes it could feel a little overwhelming, but we had constant support from the ESP Council and the ESP Office. ESP Office: What is one of the most important things you’ve learned as Chair of the Trainee Subcommittee? A.S: It’s more of an anecdote, really: During preparations for the “The most important skills and knowledge” session in Cologne I discovered that most of the very famous pathologists I had previously known only from their acclaimed work are actually much easier to approach than I thought. They were really enthusiastic towards the trainee session and shared the kind of knowledge you cannot really find in books, each showing a slightly different view on the subject. It was very inspiring. What I am trying to say is that ESP connects people from different countries but also in different career stages so if you are inspired by one of the ESP living legends of pathology you should seize the opportunity and approach her or him at the upcoming Congress! ESP Office: Before we let you go off on your busy schedule do you have any advice for your successor? A.S: I would say don’t stress too much – at first it all might seem hard and complicated but people at the ESP are very friendly and supportive towards residents and they will help you with any trainee-oriented project you will embark on. All in all – it is an amazing experience and you should enjoy it because 2 years are quick to pass by!